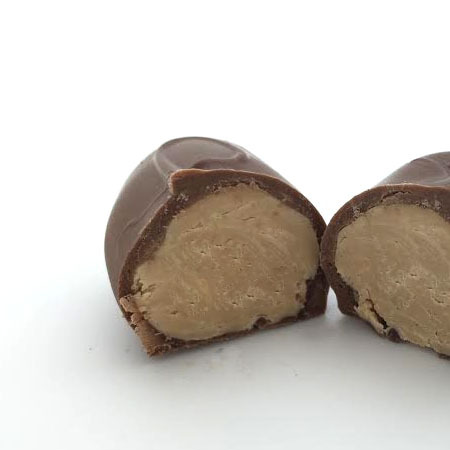 12 Easter Eggs with our homemade, smooth, creamy peanut butter center covered in Belgian Milk Chocolate. 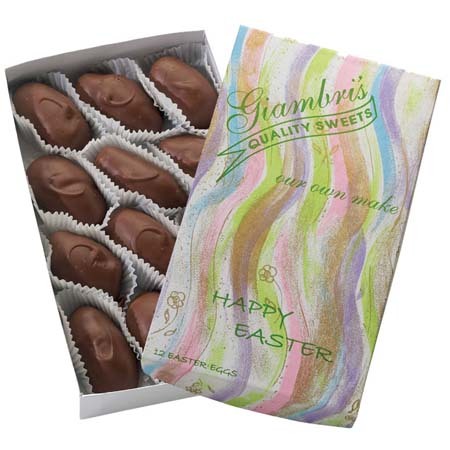 We love these eggs!!!! I always put these in the little treat baskets we have for each one of our guests. This year when I opened the box I was a bit disappointed to see that they were the small eggs and not the 12 large eggs that were ordered. The outside of the box said there were 12 eggs, but inside were the smaller ones. 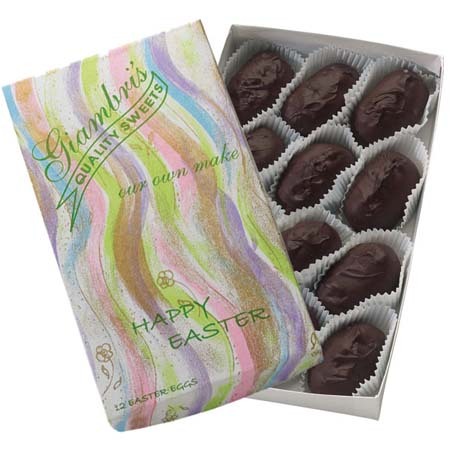 Thanks again for making such delicious chocolate!